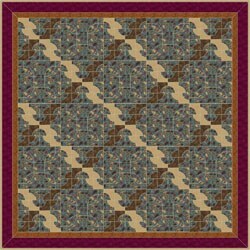 A popular traditional quilt pattern best made with two contrasting colors. It is easily cut, but confusing to set together. The overall pattern is not apparent from a single block but must be viewed as a whole. Also known as Drunkard’s Path, Falling Timbers, and Country Husband. Start a new project and name it Benni-Harper 1. Go to 7 Stencils > Curves. Find Interlocking Lines (the third block) and click Add to Sketchbook. Set the number of blocks horizontal and vertical to be 5. Click the Set Block tool . The Sketchbook Blocks palette appears. Click the Falling Timbers block, to select it. 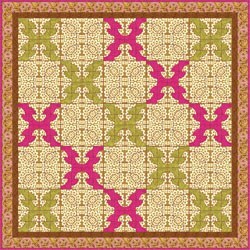 Hold down your keyboard ALT key as you click on the top-left block space in the quilt. Every other block space fills with the block. Click the Paintbrush tool. The palette will appear. Click on a color or fabric in the palette. Hold down your keyboard ALT key as you click on any empty block space. All empty spaces fill with color. Click on the Swap All Colors tool. This tool lets you change any one color to any other color — all over your quilt. Color the entire quilt. You can use the Paintbrush or the Spraycan tools if you prefer, for the blocks, and for the border. Click the Set Block tool > Stencils tab inside the Blocks palette. Click the Interlocking Lines stencil in the palette.Note: We’re using a stencil block here. But any block from the library, or that you draw, can be used as a stencil. Just set the block into Layer 3. The block’s colors disappear. You’ll see dotted lines instead. 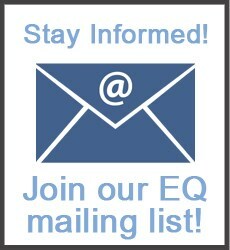 Point to one of the plain blocks in your quilt, and drag your mouse on the quilt to form a box. The Interlocking Lines block will pop into the box when you release the mouse. Don’t worry about size or exact placement yet. 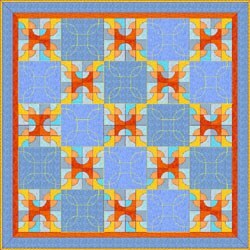 Following the step above, set eleven more Interlocking Lines blocks — one in each of the plain blocks in your quilt. Again, don’t worry about size or placement. Just get eleven more stencils set. Release the SHIFT key. Click any one of the Interlocking Lines stencils. This will be your anchor block. 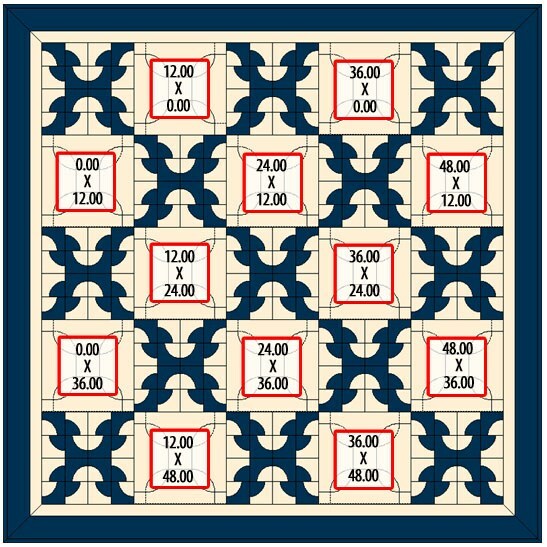 The Graph Pad should fill with numbers at the top of your screen.Note: If you do not have the Graph Pad showing above the quilt, choose VIEW > Graph Pad. Click the arrows beside the size numbers on the Graph Pad to resize the selected Interlocking Lines block to 12.00″ X 12.00″. While the anchor block is still selected, hold down the SHIFT key on your keyboard as you click on the other eleven Interlocking Lines stencils, to select them, also. (You may want to count, to be sure you get all of them. Click on the Same Size tool. 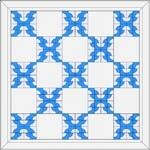 All twelve Interlocking Lines stencils will now be the same size. Click the mouse away from the quilt, to deselect the blocks.Note: You can check the stencil sizing now by clicking on any stencil. The size numbers should all be 12.00 x 12.00. If they are not, click on the size arrows until each size says 12.00. Top row: Click on the left-most stencil in the top row. Look at the Graph Pad numbers at the left of the Graph Pad. These numbers show stencil location. Click the arrows to make the numbers say: 12.00 on top; 0.000 on bottom. You will notice the stencils move as you click the location arrows. Top row – right: Click the last stencil in the top row > use the location arrows to make it: 36.00 on top; 0.00 on bottom. Second row – left: Click the left-most stencil in the second row > use the location arrows to make it: 0.00 on top; 12.00 on bottom. Second row – center: Click the center stencil in the second row > use the location arrows to make it: 24.00 on top; 12.00 on bottom. Second row – right: Click the right stencil in the second row > use the location arrows to make it: 48.00 on top; 12.00 on bottom. Third row – left: Click the left-most stencil in the third row > use the location arrows to make it: 12.00 on top; 24.00 on bottom. Third row – right: Click the right-most stencil in the third row > use the location arrows to make it: 36.00 on top; 24.00 on bottom. Fourth row – left: Click the left stencil in the fourth row > use the location arrows to make it: 0.00 on top; 36.00 on bottom. Fourth row – center: Click the center stencil in the fourth row > use the location arrows to make it: 24.00 on top; 36.00 on bottom. Fourth row – right: Click the right stencil in the fourth row > use the location arrows to make it: 48.00 on top; 36.00 on bottom. Bottom row – left: Click the left-most stencil in the bottom row > use the location arrows to make it: 12.00 on top; 48.00 on bottom. Bottom row – right: Click the last stencil in the bottom row > use the location arrows to make it: 36.00 on top; 48.00 on bottom. Click the Set Thread tool. The color palette appears.Note: You may have to click theCustomize Toolbars tool > Add/Remove Buttons > click to check the Set Thead tool if it’s not already checked. Click on any thread color > click the line of any stencil. The thread color changes from black, to your selected color. 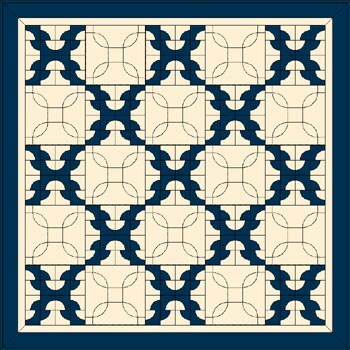 Change any or all of the stencils, to make the quilt look as you’d like. You can click and hold on the Set Thread tool to color the whole stencil or Swap Thread tool to color all stencils at once. 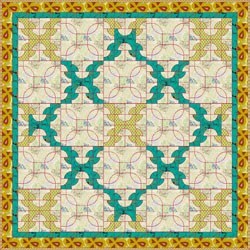 In the top Name field, type: “My Fool’s Puzzle quilt”. Your Fool’s Puzzle project is now complete, and saved on the hard drive. To print a stencil, be on Layer 3. Click the Select tool. Click on a stencil on the quilt. 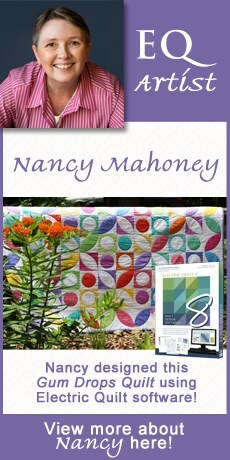 Click FILE > Print > Block > choose “Use size from quilt” and Quilting Stencil option > click the Print button.